It is possible to withdraw up to Rs 1 lakh at the HDFC ATM daily on platinum chip debit card. State Bank of India (SBI) recently slashed the daily withdrawal limit from ATMs to Rs 20,000. 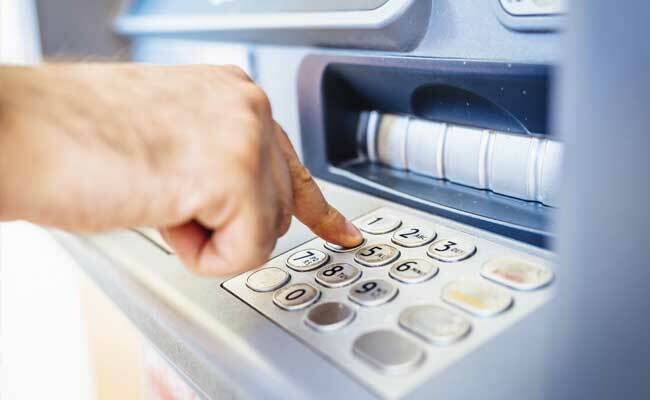 Most banks today have certain limits on ATM cash withdrawal in place for their customers. These cash withdrawal limits vary from bank to bank, and depend upon factors such as type of account and type of card. For example, PSU lender State Bank of India (SBI) recently halved the daily withdrawal limit applicable to ATM transactions through its classic debit card, according to news agency Press Trust of India. Another state-run bank PNB or Punjab National Bank allows cash withdrawals of up to Rs 50,000 per day on ATM transactions using a RuPay card, according to the lender's website - pnbindia.in. Private sector peer ICICI Bank has set an cash withdrawal limit of Rs 1,00,000 per day on ATM transactions using its platinum identity chip debit card, according to the bank's website - icicibank.com. State Bank of India (SBI) has slashed the daily withdrawal limit from ATMs to Rs 20,000 for its classic debit card, according to news agency Press Trust of India. Rs 20,000 This revised limit on SBI's classic debit card will take effect from October 31. There is no change in the daily withdrawal limits on other SBI cards, according to Press Trust of India. For SBI's platinum card, an ATM cash withdrawal limit of Rs 1,00,000 per day is applicable, according to the SBI portal. ICICI Bank has placed an cash withdrawal limit of Rs 1,00,000 per day on ATM transactions using its platinum identity chip debit card, according to the bank's website. In case of its visa signature debit card, a limit of Rs 1,50,000 per day is applicable on ATM withdrawals, according to ICICI Bank. Private sector major HDFC Bank allows cash withdraws up to Rs 1 lakh per day from ATMs using its platinum chip debit card, according to the lender's website - hdfcbank.com. Private sector peer Axis Bank allows cash withdrawals up to Rs 40,000 per day on ATM transactions using its RuPay platinum debit card, according to the lender's website - axisbank.com. A limit of Rs 50,000 per day is applicable to ATM transactions using the bank's visa titanium prime plus and secure plus debit cards, according to the Axis Bank website. Punjab National Bank allows cash withdrawals up to Rs 50,000 per day from ATMs using its platinum and RuPay debit cards, according to the lender's website. A limit of Rs 25,000 per day is applicable to ATM transactions using its classic RuPay and Master debit cards, according to PNB.